The Huawei Mate 20 Pro was an exquisite piece of technology and we truly loved almost everything about it, right from its design to the cameras. However, Huawei likes to push the boundaries and the Huawei P30 series is finally official to give us a taste of just that. 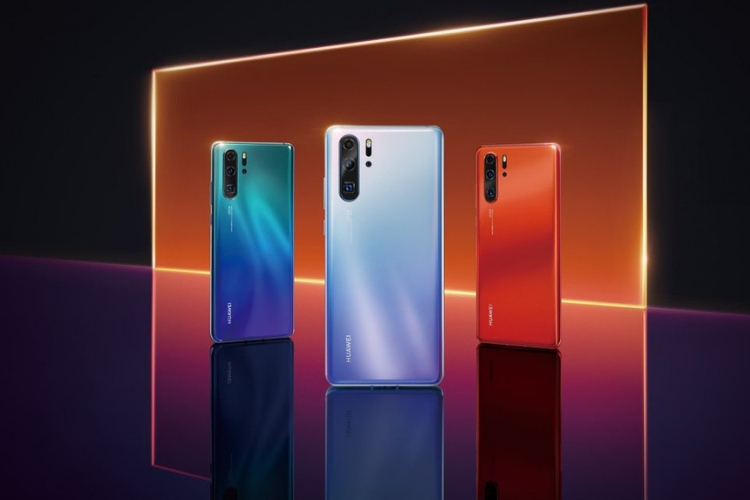 The Chinese phone maker has today taken the wraps off its latest flagship smartphones, the Huawei P30 and Huawei P30 Pro, at an event in Paris and here’s everything you will need to know about these smartphones. The base variant of the Huawei P30 will have 6GB RAM with 128GB internal storage, and it is priced at 799 euros (roughly Rs 70,000) while the Huawei P30 Pro would retail at a starting price of 999 euros (which roughly equals Rs 85,000). The P30 Pro goes up to 1,249 euros for the model with 512GB storage, while the 256 GB version is priced at 1,099 euros. All three have 8GB RAM. The phones are available from today, but that’s only in Europe. India availability will be announced separately. Both the Huawei P30 and P30 Pro will be available in four color variants. There’s a classic Black variant (keeping it simple and classic) and 3 new gradient finishes – namely Amber Sunrise, Pearl White, Breathing Crystal, and Aurora. Huawei smartphones invariably bring forth a new design and build from the past generation. And the Huawei P30 series is no different. Huawei has used a high-yield inkjet process, which it pioneered to develop the gradient design of the rear panel. It has drawn inspiration from nature for the gradient colors this time around. 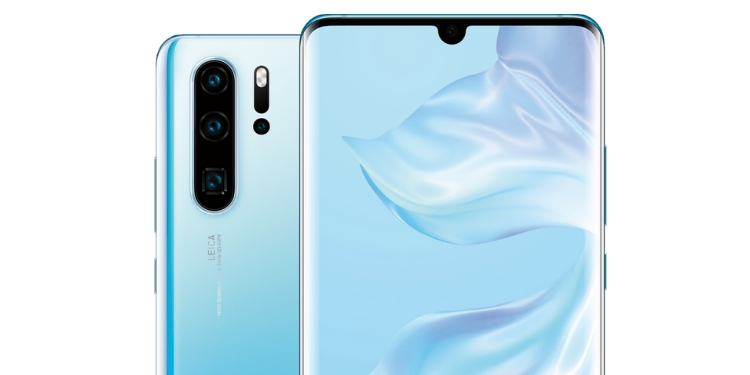 Unlike some of the popular flagships launched in 2019, which all turned to the new hole-punch selfie camera design, the Huawei P30 series has stuck to the dewdrop design for their displays. The P30 and P30 Pro feature huge 6.1-inch and 6.47-inch FullHD+ curved OLED screens respectively, with a 19.5:9 aspect ratio and 2340×1080 pixels resolution. This means there’s just a selfie lens upfront and no additional sensors for a safer face unlock mechanism. As already expected, both the Huawei P30 and P30 Pro smartphones are powered by the company’s in-house Hi-Silicon Kirin 980 chipset. It’s a 7nm chipset that houses a dual-AI and dual-NPU to enable a ton of newer features, along with faster image recognition and processing. Huawei P30 lineup is the first P-series flagship to feature an in-display fingerprint scanner – in line with the transition, we’d first seen on the Mate 20 Pro earlier last year. The camera department has always been a prime focus for Huawei and the Chinese giant has now stepped up the game with the P30 series. Huawei P30 Pro comes baked with a new Leica-branded quad-camera module which includes a primary 40MP (f/1.6) SuperSpectrum sensor, a 20MP ultra-wide angle camera, an 8MP telephoto camera (enables the 10x SuperZoom capability) and finally a Time-of-Flight (TOF) camera. The P30, on the other hand, only boasts a triple camera setup with the 16MP ultra-wide angle camera as opposed to the 20MP sensor on Huawei P30 Pro and no TOF camera. It offers 3x optical zoom, 5x hybrid zoom, and 30x digital zoom. This new and upgraded camera module has helped Huawei achieve the highest DxOMark scores ever – both in the photography and video department. You can read about all the camera and video features including 10X optical zoom, dual-view video mode, and more right here. We have compiled information on the P30 Pro’s cameras in one place for your ease. The Huawei P30 series also carries a 4,200 mAh battery pack, which should be enough to last you a full day on a single charge. And even if it doesn’t, the 40W SuperCharge power adapter will quickly juice up your smartphone for use again. Further, it has 15W wireless charge and reverse wireless charging feature on board as well. The devices include all of the traditional wireless connectivity options, including the dual-SIM and dual VoLTE capabilities that users in some region find to be necessary. So, what are your opinions on the Huawei P30 series? Let us know in the comments below.